Shopping for used Acura models under $20,000? Fisher Acura offers a selection of high-quality used Acura cars and SUVs for a rate that won’t break the bank. When it comes to efficiency, luxury, and safety, new, used, and CPO Acura vehicles are some of the best options available to Golden shoppers. Browse our selection of used Acura models under $20,000 below, then contact us if you’d like to schedule a test drive in Boulder! Why Buy Used from Fisher Acura? 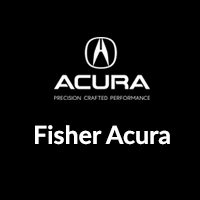 Fisher Acura is a reliable source for dependable used vehicles near Arvada and Thornton. Our wide inventory means we’re able to offer ever-changing used vehicle specials. Additionally, if you’re shopping for a car that’s a little less expensive, we offer a selection of used cars between $10,000 and $15,000 and used SUVs under $20,000. When you find the vehicle you want, apply for financing online, and our finance experts will guide you through the rest of the car-buying process!